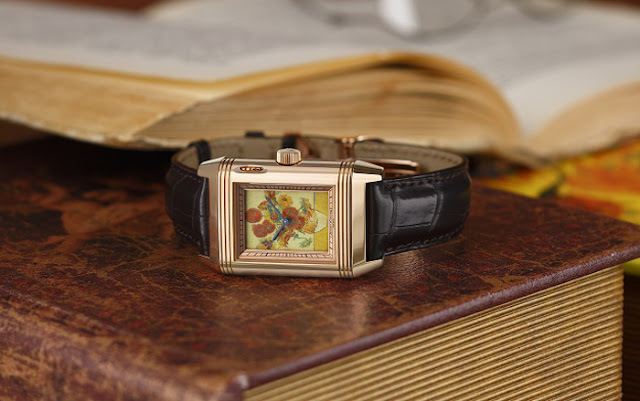 The latest edition of the iconic Reverso (you can read its history here) is an exclusive model created by Jaeger-LeCoultre in collaboration with the Van Gogh Museum in Amsterdam to commemorate the 125th anniversary of the death of Vincent van Gogh. Limited to just five pieces, this Reverso à Eclipse pays homage to the Dutch post-impressionist painter by featuring a miniature enamel dial which reproduces one of his celebrated masterpieces, the Sunflowers, and in particular a version painted in 1889 currently owned by the Van Gogh Museum. 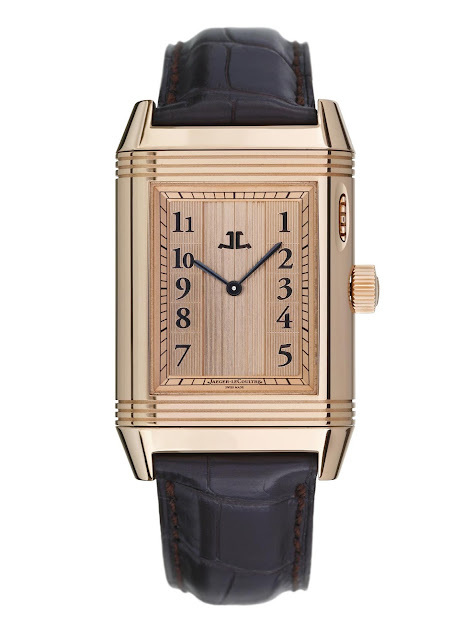 The patented shutter system of the Reverso à Eclipse consists of a roller situated at 2 o'clock, a miniature chain and a screw to open or close the watch dial shutters engraved with numerals. 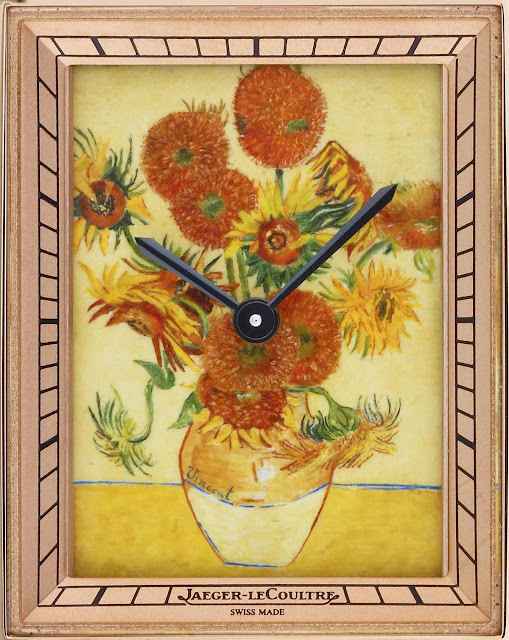 A simple gesture is enough to unveil the 18-carat gold plate decorated with the enamel miniature of Van Gogh’s Sunflowers. The pink gold case houses the Jaeger-LeCoultre manufacture Calibre 849, a manually wound mechanical movement crafted, assembled and decorated by hand which beats at 21,600 vibrations per hour and guarantees 35 hours of power reserve. 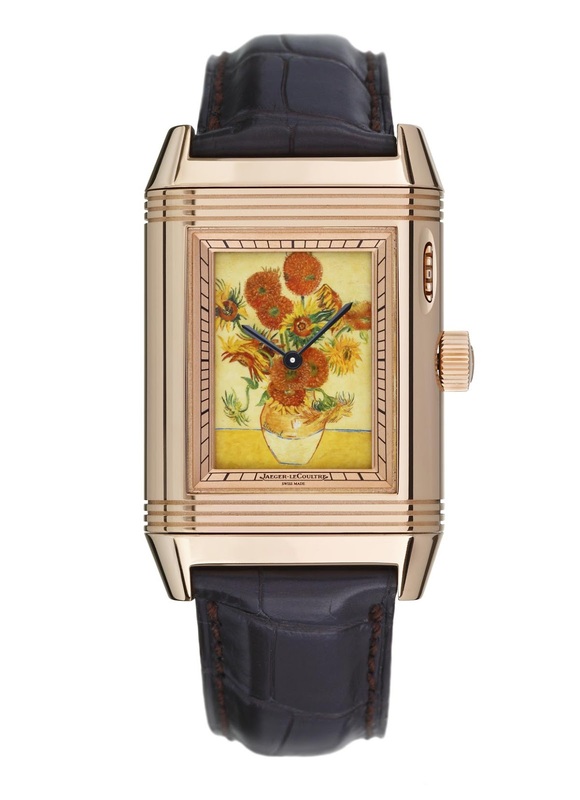 Jaeger-LeCoultre Reverso à Eclipse Tribute to Vincent van Gogh. The latest edition of the iconic Reverso is an exclusive model created by Jaeger-LeCoultre in collaboration with the Van Gogh Museum in Amsterdam to commemorate the 125th anniversary of the death of Vincent van Gogh. Limited to just five pieces, this Reverso à Eclipse features a miniature enamel dial reproducing one of his celebrated masterpieces, the Sunflowers. Ref. Q37724EL.